Adventure it certainly is since it has all the ingredients – a rich boy and a poor one who happen to look alike, messenger pigeons, kites and a plethora of vicious goons. 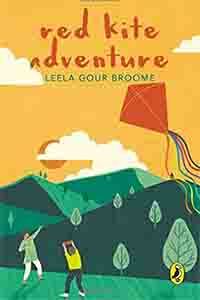 Leela Gour Broom’s book is bound to strike a chord with adventurous youngsters who love flying kites and not listening to adults. From a reviewer’s viewpoint there are certain things about the story that are predictable. The Prince and the Pauper aspect of the boys who look alike and who are obviously going to switch roles at some point – though Gour Broome having mentioned it in the beginning tends to play it down and certainly Arzaan’s Dada doesn’t notice nor do too many other people. The pigeons trained to deliver messages too are definitely there to play an important part in the story and what that part is becomes evident when Veer is kidnapped, thanks to Arzaan’s impulsiveness in making a new friend and showing off his world of kites. 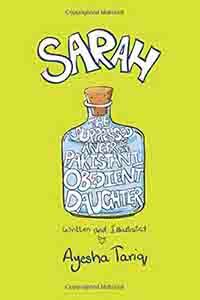 Gour Broome describes the contrasting world of the two boys with sympathy and understanding though one wonders why Veer’s rich businessman father is the way he is with a rotund artist mother – or perhaps he is the way he is because his mother is so unconventional. Otherwise mothers and women in general do not form a major part of this boy adventure. The goons who pick up Veer are more violent than they would have been in an Enid Blyton adventure but that is the way the world is these days. Boys can be sick and they can be mistreated and threatened with death and businessmen have been known to lose their sons to kidnappers all over the country. 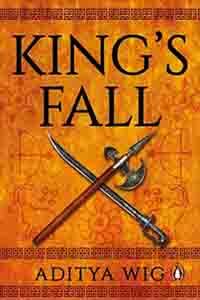 Gour Broome throws in an exciting chase among haunted ruins at the end of the book and manages to keep the reader wondering how the adventure is going to turn out in the end. India’s ghost ridden forts with their tunnels are put to effective use. 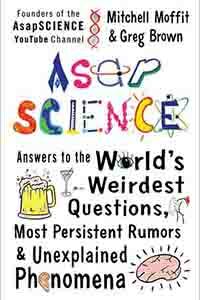 Gour Broome also keeps some of the plot revelations up her sleeve – but perhaps she thinks that all the questions do not need to be answered.